As I hopped into conversation with a friend about who is the best scorer in the NBA, it is clear to me that there is not a definite answer. In my opinion, if LeBron James wanted to average over 35 points per game, he could easily do it. The difference between James and players like Carmelo Anthony or Kobe Bryant is LeBron doesn’t need to score 30 a night for his team to win. While Kobe Bryant does lead the league in scoring, I would not have him in my top three for best scorers because of how many attempts he takes. This makes his stats inflated, averaging 29.7 points and averages 21.5 field goals attempted per game. When looking at all the scoring categories, one can knock Kobe out of the top spot on the list for best scorer. He ranks 46th in the NBA for field goal percentage and 59th for three-point percentage. The stat that really stood out to me was that he was 22nd in free throws. I was surprised because this is a major drop from being one of the top 5 free throw shooters in the league in years past. Another aspect that has lost his credibility is his post up game. While he is extremely savvy in the post, when he is playing small forward he is unable to shoot over the top of taller defenders. I believe this player is a true scorer. The real “scoring machine” is Kevin Durant. With Durant winning the scoring title in the past three seasons, it is hard to take the belt away from his this year. He is currently third behind Kobe and Carmelo Anthony for points per game with 27.9. The difference is Durant’s efficiency. He is currently 16th in field goal percentage. Durant is known for his shooting, but he has made huge strides in cashing in at the free throw line where he is shooting at .904 percent. This ranks him at 5th in the NBA. Along with free throw shooting, he is he is 16th in the league for three point percentage. Durant has been labeled a scorer because of his shooting ability, but if you watch his game closer it is mostly because of his positioning ability. He is able to anticipate in transition and set him self up for wide open three pointers. Along with his vision is his height. He is an extremely difficult cover for other small forwards because he is 6’9” and can rise over defenders to utilize his stroke from anywhere on the court. One aspect of his game I would like to see improve is his offensive rebounding. He averages less then 1 offensive rebound per game. This is mostly because he is not asked to rebound at the small forward position, but if he were able to get cheap buckets in the paint like Carmelo Anthony, his stats across the board would sky rocket. 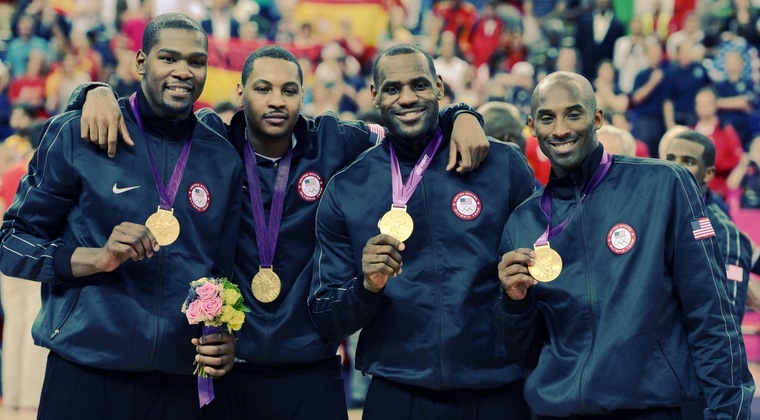 You can’t go wrong with any of these Gold medalists. Overall, I think LeBron James could be the league’s best scorer, but Kevin Durant still holds the belt in my mind as the best scorer in the league. 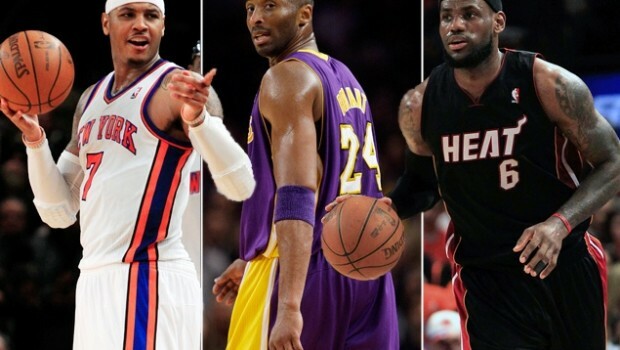 An honorable mention is Carmelo Anthony because he can score in bunches better then anyone in the league. Another scorer would be James Harden because scoring is nearly all he is known for. With his extended role with the Rockets he has been asked to average over 25 points per game. The lefty still needs to work on his mid range game. In the end, I believe Kevin Durant is the best scorer in the league, and should be for awhile. This entry was posted in Basketball, Basketball, Home, Midwest, National and tagged Carmelo Anthony, Kevin Durrant, Kobe Bryant, LeBron James, NBA.